The Minority Report is an annul marketing analysis of Minority-owned cannabis and hemp companies. The Report highlights successful Minority Entrepreneurs in cannabis and which sectors of the industry they work. The Report focuses on the deficiencies in Diversity in the cannabis and hemp industries; highlights why investors should take a closer look at investing in "Diversity" namely, minority-owned companies in this space. Finally, the Report gives attention to the voices of the LGBTQ+ community, People of Color, People with Disabilities, Veterans, and Women; and their roles in the legalization of the FASTEST growing industry in America! 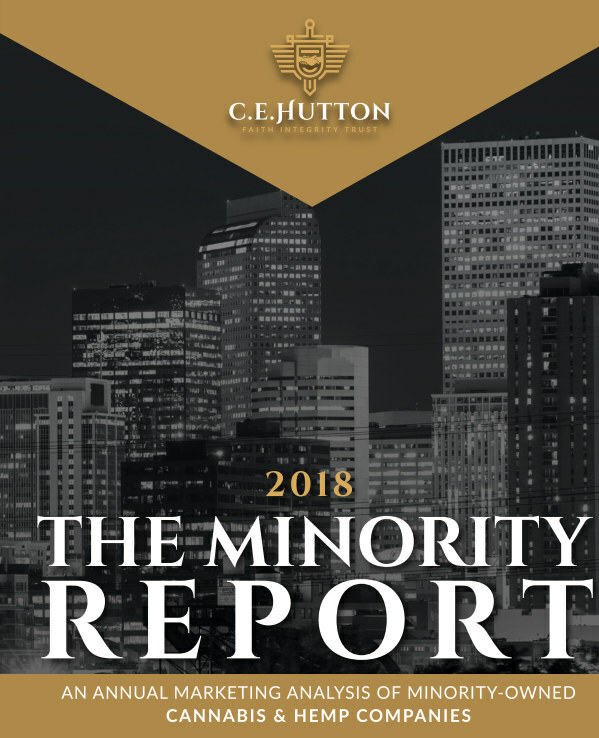 C. E. Hutton is a Minority-focused business development and management company. Although not exclusive to Minorities, we are inclusive to all communities that understand and appreciate the true value that diversity brings to our global society. We offer an array of business tools and services to Entrepreneurs and small to mid-size companies seeking entrance, or expansion in the legal cannabis and hemp industry.